We can ID this bird as a Water Thick-knee its streaked breast and gray wingbar edged in black. Also by its habitat preference along a river. 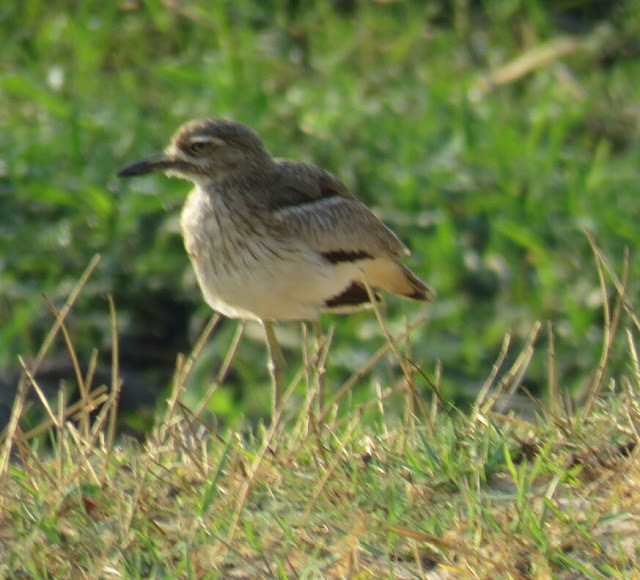 The Water Thick-knee is a new species to our Photographic Life List, which now stands at 354.